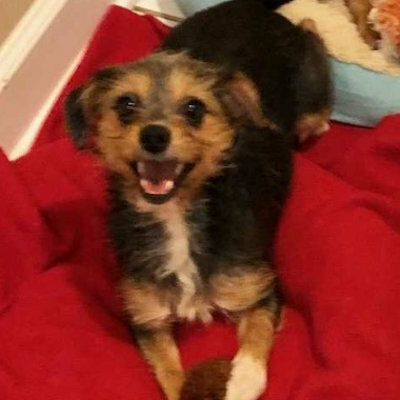 Our sweeetheart Little Dee is a 2 year old Yorkie mix who we rescued (along with 8 of her friends) in December 2018. These dogs, plus several others, roamed free in a 600 sf apartment. They had minimal standards of nutrition, no veterinary care and were multiplying rapidly. We are fortunate to have been able to rescue them while they are still so young so that we can play a part in them receiving proper care and finding them the wonderful homes the they deserve. Little Dee is especially bonded to her best friend, Crisco, and our goal is to have them adopted together. Little Dee is more timid than Crisco and looks to her for both leadership and comfort. 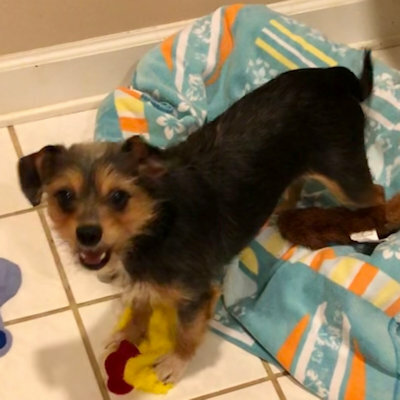 Once you gain her trust, Little Dee enjoys sitting on your lap, going for walks and playing with small toys. She and Crisco nap side by side. 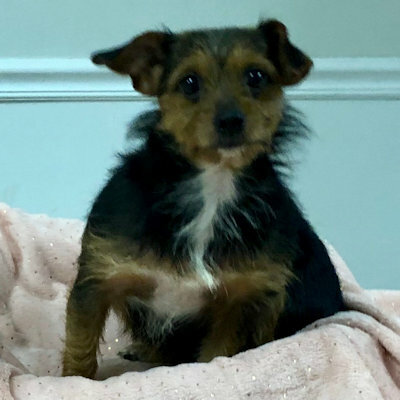 The adoption fee for Little Dee is $300 ($500 for both Little Dee and Crisco together) and includes their recent spay, microchip, deworming and flea/heartworm prevention. If you are interested in meeting Little Dee, please fill out an application here.